Can People Ever Be Trusted With Dockless Bike-Sharing? Less than six months after launching in France, a dockless bike-sharing service is calling it quits in the country, due to what it characterized as “mass destruction.” The company, Gobee, told The Guardian that over a thousand bikes were stolen in France, with 3,200 damaged and 6,500 needing repairs. “Over the months of December and January, the mass destruction of our fleet has become the new entertainment of underaged individuals,” said Gobee. A shitstorm of ruination seems to be the default outcome for dockless bike-sharing services, and Gobee is no exception to the rule. Which poses the question: Will humans ever not wreak havoc on a dockless bike-sharing service? Around the world, bike-sharing startups are struggling with this reality. In China, there are heaps of thousands of discarded bikes. Dockless bike-sharing service Wukong Bikes shut down after it lost 90 percent of its bikes in just five months—the company forgot to equip its bikes with GPS. 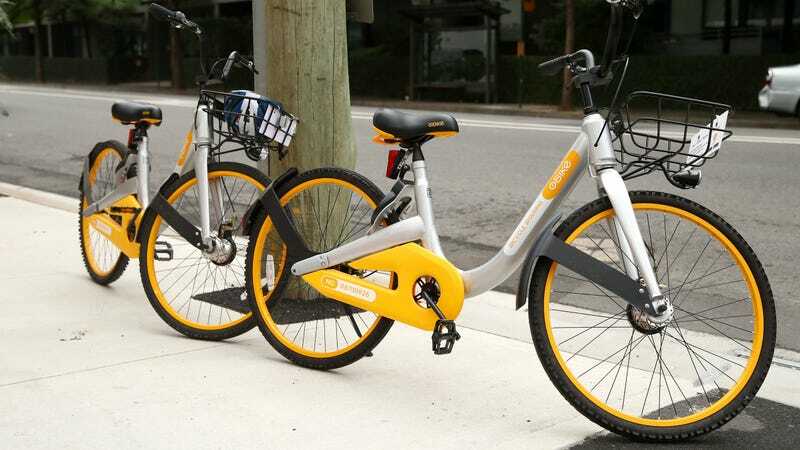 In Britain, Obike had to terminate its operations in several London locations after bikes obstructed highways and sidewalks, and it faced backlash in Australia for similar reasons. And in the US, Spin is fighting with the Department of Transportation to get its dockless bikes operational in New York City—but people with access to the service in Seattle have already complained about a wonky user experience. Finally, while it’s not a bike-sharing service, free-reign access to bikes at Google has led to hundreds of them going missing a week. Based on the litany of dockless bike-sharing failures, it’s almost as if a service banking on the good faith of humans isn’t a sustainable business plan. It’s inarguably great to try and encourage more people to choose bikes over cars, but the convenience that dockless bike-sharing offers also invites its downfall. But I’m hard-pressed to find an example of a dockless bike-sharing success story. While it’s possible that city planners will one day be forced to address the problem in the same way they do natural disasters, there’s little evidence of a will to, with the immediate result being increased theft, vandalism, and obstruction. This is not to say that improved access to bikes is a flawed plan. But perhaps leaning too heavily on the premise that people’s good nature will outweigh their laziness or appetite for destruction is a bit misguided. Bike-sharing is fantastic, but dockless is, to date, a goddamn mess.